Only a year after the band's smashing full-length "IRON ROSE", Texan thunder CONCRETE ELITE are back with another slab of wax! In a co-production with LSM Vinyl, REBELLION RECORDS is proud to announce the band's latest 12" - "THE SURVIVAL EP"! 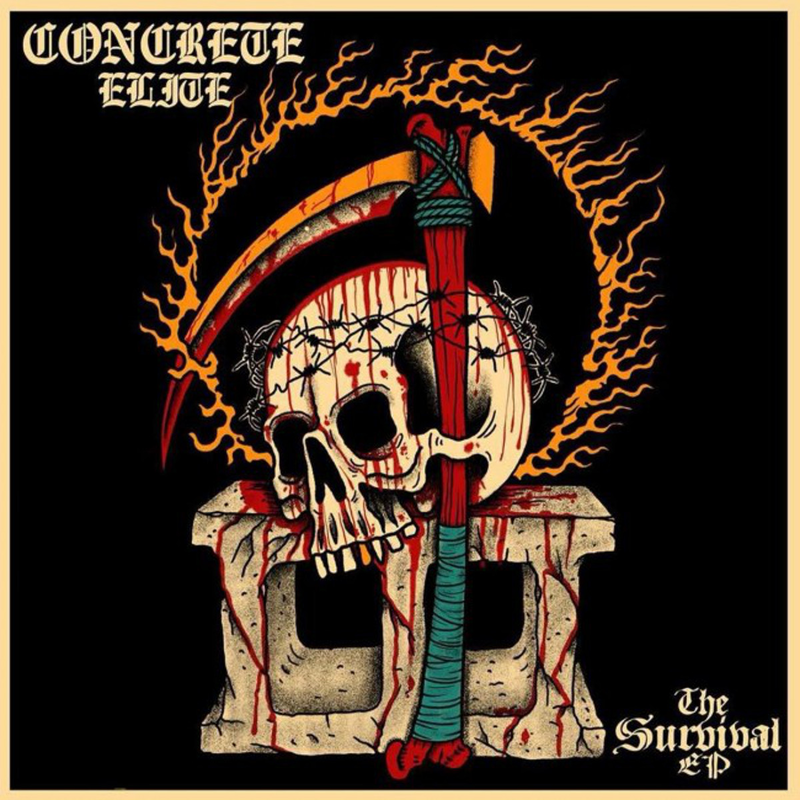 Featuring seven all new hard-hitters and a guest appearance by no one other than Carl Templar, CONCRETE ELITE definitely released some of their best work to date! Their barbaric sound full of grit is music for goons and maniacs, and therefor right up our alley! From opener "We Want It All" to the final attack of these "Razor Boys", "THE SURVIVAL EP" rips it up from start to finish, making sure CONCRETE ELITE is still one of the hardest - if not, the hardest, Oi! bands around! Concrete and brickwall through and through! Corps,The "Tour 2008" PicEP 7"